Office suites in a range of sizes are available on flexible leasing terms, or for purchase, at this Waterlooville property. Located close to the A3 (M) for access to the M25 and London Heathrow, and Portsmouth for cross channel services, and the M27 for Southampton. There are cafes, bars and restaurants a short distance from the property, nd the town has a number of shopping outlets and banks available. 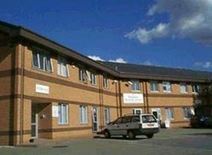 These premises comprise a group of office and workshop units situated in a well maintained courtyard. The site features meeting rooms, a restaurant and free parking. Located close to Waterlooville town centre, with easy access to J3 of the A3 (M).